Hyderabad's Prodigiously gifted mathematical genius Nischal Narayanam has accomplished yet another remarkable triumph by clearing CA final at a young age of nineteen years. 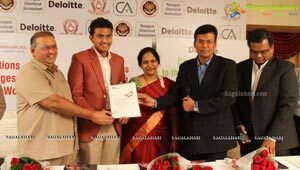 With this feat he has become the youngest Chartered Accountant in the country. Nischal Narayanam was felicitated for his stupendous accomplishment by Mr Raghunandan, Chairman, Hyderabad Chapter, Mr. Prakash Chopda, Vice Chairman and Mr Naresh Gelli, Council Member, SIRC of Institute of Chartered Accountants of India (ICAI); Deloitte International audit firm, Director, Mr T S Venkateswaran and Partner, Mr Ganesh; Osmania University - Former Chairman, Board of Studies Mr Purushottam Rao; Founder Chairman of Bhasker Rao & Company Mr Bhasker Rao, amongst several other officials and dignitaries. Youngest Graduate in 85 years history of Osmania University and also the youngest post-graduate from the university. World’s youngest mentor of a company – ‘Nischal’s Smart Learning Solutions Pvt. Ltd. Designer & developer of Mathematics Laboratory. National Child awardee for exceptional achievement, (Gold medal) 2008. At Deloitte, Nischal is the youngest amongst their 2 lakh members, globally. Nischal Narayanam born in Hyderabad, is the younger son to Narayanam Nageswara Rao, an industrialist (Chairman of NCS group) and Dr.Padmavathy - a Doctorate in Sanskrit literature from Osmania University and Managing Director of Nischal’s Smart Learning Solutions. 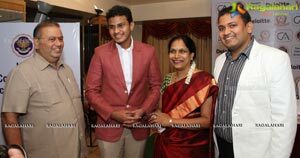 Nischal passion for mathematics was spotted by his parents at an early age of 9 and since then encouraged him for all his achievements. 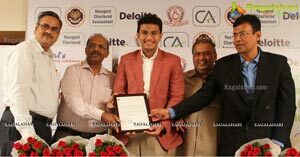 Today, Nischal has proved his metal once again by becoming the youngest CA in the world.